I had the incredible honor to be part of the first ever online, self-paced Healing Retreat from the wonderful people at Pray More Novenas. The retreat includes a total of six speakers, 20 talks, and 20 accompanying study guides. As the website explains, "Some of them are about healing from specific problems – things like anxiety and worry, addiction, abuse, miscarriage and divorce. Some are about healing the wounds of our heart, and learning our worth and dignity. Others are about God’s faithfulness in the darkest of times. Lastly, we also have a few talks about what to do when you don’t receive the healing you’ve been praying for and working towards." The retreat launches Monday and it would be awesome if you could join the 18,000+ people who have already signed up. 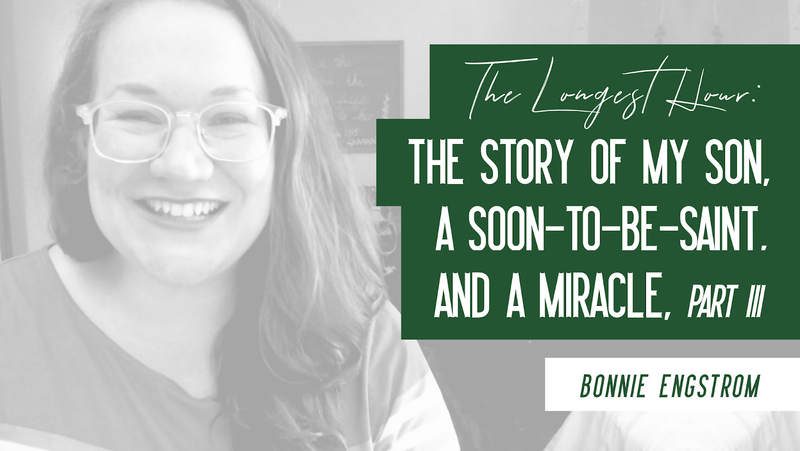 I share James' story of his stillbirth, how he miraculously came back to life after being dead for an hour, and how I lean on God in the midst of suffering. You can learn more and register right o'er here: Pray More Healing Retreat.